Forza Horizon 4 features some really cool themes or crossovers from movies or even video games, such as the Halo race where you drive as Cortana. Likewise, it also includes cars from the James Bond series over the years and you can actually acquire them. Read on to find out how to get James Bond edition cars in Forza Horizon 4. 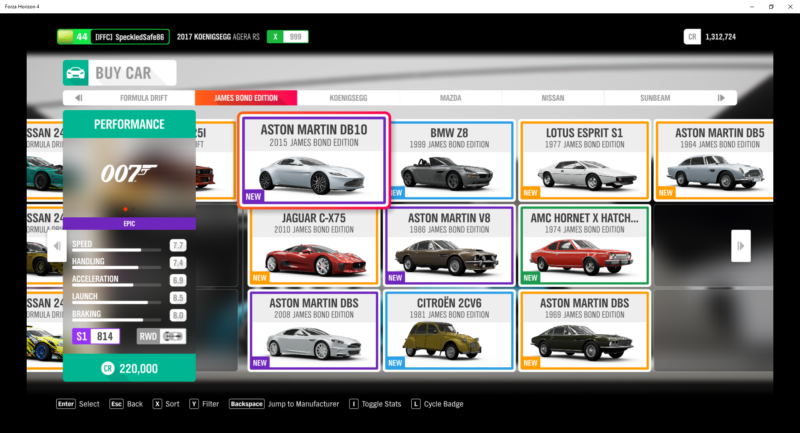 The easiest way to get all of the James Bond Edition cars (all 10 of them) is the pay-to-win option. It’s actually part of the DLC packs which is available in the menu. Just go to DLC and find for Car Packs. This package of Bond cars can be bought for slightly less than USD 10. 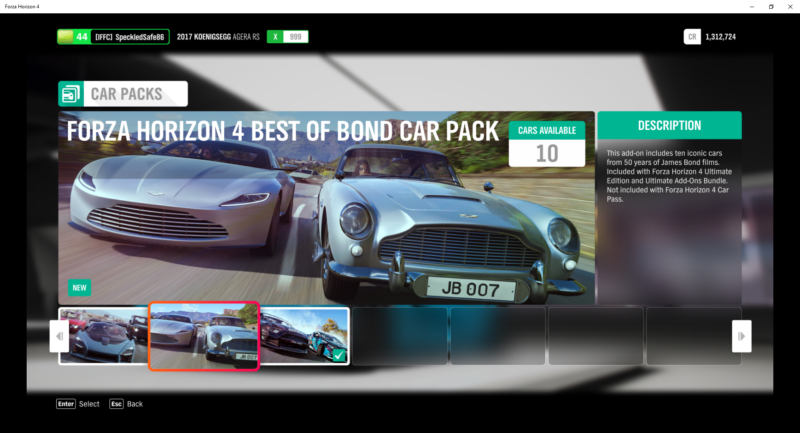 The screen above shows all of the cars that are featured in this DLC pack, from the very old 1964 Aston Martin DB5 up until the 2015 Aston Martin DB10. They aren’t the fastest cars in Horizon 4, but they are pretty cool considering it’s from the iconic movie. You can actually acquire them without paying real cash (excluding buying the game of course) which is mentioned below. Yes, you can also get them from the auction. I wonder why players would sell James Bond edition cars considering credits can always be earned in-game but it happens. Just go to your garage or the Horizon Festival Site and access the auction house. Search for James Bond Edition cars. It won’t appear under Aston Martin or BMW or other makes. And that’s about it. You can start bidding or buying out these limited edition cars. 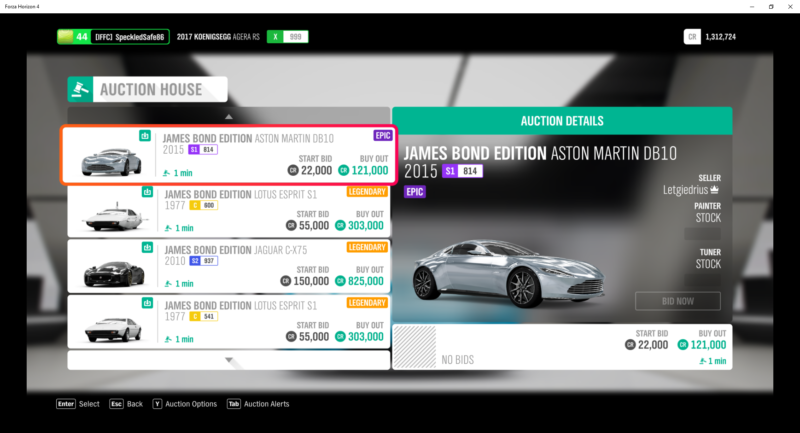 If you don’t wish to spend further on this game, you can always go the free route by buying these Bond edition cars on the auction. Hopefully this very brief guide has been somewhat helpful.